Jason Mraz headlines Spreckels Theatre on Saturday, Oct. 14. In celebration of the 15th anniversary of his debut album, "Waiting for My Rocket to Come," Jason Mraz will perform a special homecoming show at Spreckels Theatre, where he filmed parts of the music video for "The Remedy." The event, billed as Music Candor Banter, is slated to be a night of hits, reinterpretations and storytelling from the multi-Grammy Award-winning folk-pop artist. 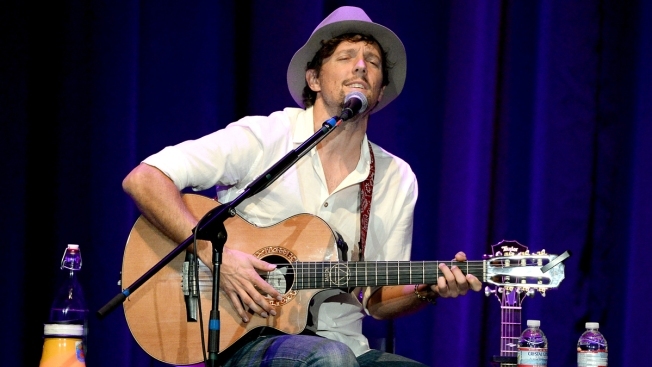 Since getting his start in San Diego coffeehouses in the early '00s, Mraz has won many prestigious awards, sold out arenas and amphitheatres and even dabbled in some philanthropy as well (demonstrated by his charity, the Jason Mraz Foundation, which is committed to arts education and the advancement of equality). It's been quite a while since Mraz has given a major San Diego performance, with his last hometown show occurring in 2014 at the Civic Theatre. "Performing is both a joy and a challenge,” said Mraz. “San Diego has been very receptive and kind to my unrated experimentation and evolution." One thing's for sure come mid-October -- he's all yours. Jason Mraz headlines Spreckels Theatre on Saturday, Oct. 14. Tickets are available starting Friday, Sept. 15, at 10 a.m. here.